Bose Professional is now shipping the two newest models in its line of PowerShare adaptable power amplifiers featuring Dante networking capability. 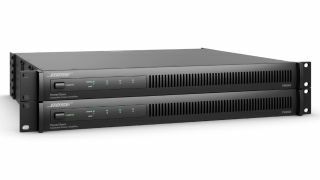 QSC has introduced the CX-Q Series of four- and eight-channel amplifiers that offer drag-and-drop integration with Q-SYS. Paul Hales, owner of Pro Audio Technology, starts a second business as a loudspeaker manufacturer.